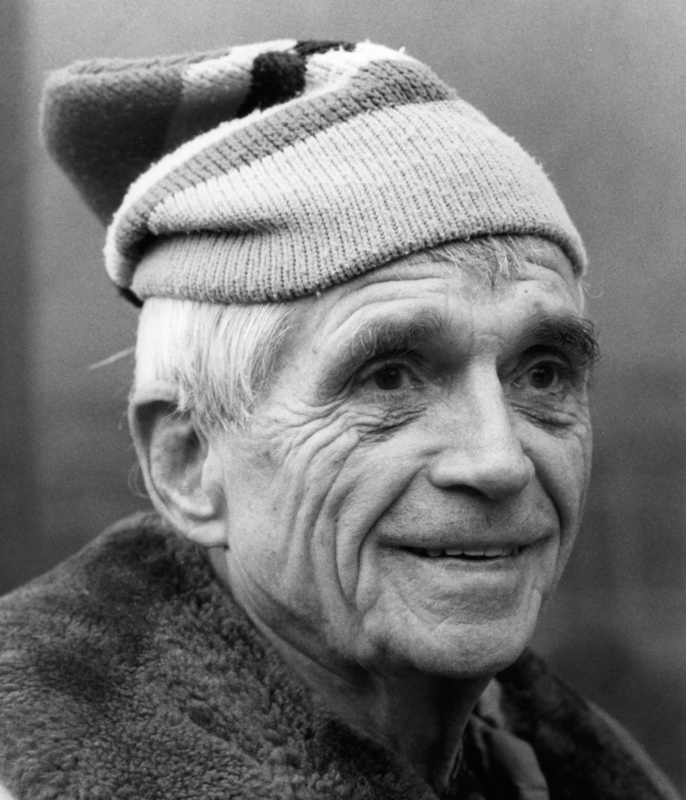 Daniel Berrigan, S.J., in an undated photo (CNS). As the United States became more and more embroiled in the Vietnam War in the late 1960s, the increase in American casualties was paralleled by an increasing number of citizens protesting the war. Among the protesters were two Catholic priests who stood out in their black suits and Roman collars: Philip Berrigan, S.S.J., a member of the Josephite order, and his older brother Daniel, who belonged to the Society of Jesus. Daniel Berrigan, S.J., is the subject of Jim Forest’s stirring biography, At Play in the Lions’ Den. Covering his life from his birth in 1921 in Minnesota to his death in 2016 in New York City, this book offers a portrait of Daniel Berrigan as a man committed to following the Gospels no matter the personal and professional cost. What would Thomas Merton and Daniel Berrigan say about the Benedict Option? Berrigan was a professor of theology and Scripture and a poet whose work was inspired by Gerard Manley Hopkins, S.J., and Wallace Stevens, among others. Berrigan received the prestigious Lamont Poetry Prize in 1957. But he gave up a life as an academic and a literary celebrity to become a convicted felon protesting the culture of death, beginning with the Vietnam War and continuing through the Gulf War, the Kosovo War and the wars in Afghanistan and Iraq. He also destroyed instruments in nuclear missile facilities, protested against abortion and euthanasia and co-founded peace groups like Catholic Peace Fellowship, Clergy and Laymen Concerned about Vietnam, the Plowshares Movement and the Kairos Community, which advocated against nuclear weapons. In 1967, Daniel Berrigan became the first priest in U.S. history to be arrested for anti-war activism. In 1967, Daniel became the first priest in U.S. history to be arrested for anti-war activism. His efforts continued for about 45 years, and Forest estimates that Berrigan was arrested hundreds of times. He also spent several years in jail. Forest incorporates excerpts from historical accounts as well as observations from Berrigan’s friends. The comments range widely, from the observation by Pedro Arrupe, S.J., superior general of the Jesuits at the time, that “Dan Berrigan is the greatest Jesuit of the century”; to nephew Jerry Berrigan offering this telling insight: “It’s almost like [my uncle] lived right in the heart of God and reported back to us”; to actor Martin Sheen, Berrigan’s protégé and friend, noting how he made protest human and down to earth. Sheen would later support the International Campaign to Abolish Nuclear Weapons, which recently won the 2017 Nobel Peace Prize. Forest, a peace activist, friend of the Berrigans and author of previous biographies of Thomas Merton and Dorothy Day, includes passages from Berrigan’s articles, poems, essays, plays (including “The Trial of the Catonsville Nine,” based on the actual trial) and letters (including to and from his brother). Forest’s discursive style is occasionally hard to follow, but photographs and a chronology (partly compiled by Berrigan’s friend, Father John Dear) help to keep the narrative on track. As Berrigan became more of a political activist, he wrote numerous books arguing against war as well as several commentaries about biblical figures. His poetry became more prose-like and more political. His poems were also charged with searing honesty—if not grace. Some critics have suggested that Berrigan threw away a prestigious career as a Catholic writer whose work was on a par with Flannery O’Connor and Thomas Merton to write against war. But in this insightful and inspiring biography, Forest suggests that Daniel Berrigan lived his poems, that his metaphors became stepping stones (and rocks) on the difficult path he chose. Diane Scharper teaches poetry and memoir for the Johns Hopkins University Osher Program. She is the author of several books including Radiant, Prayer Poems.